Weather in Cape Town - What to expect? The Cape Town weather, the mild South African climate and the abundant sunshine in the Mother City are constantly coming out tops when you ask visitors, expats and locals what they like best about Cape Town. The Cape Town climate does have four quite distinct seasons and certainly Spring and Autumn/Fall are the most comfortable months in Cape Town with its mild climate which is often compared to the Mediterranean climate. Did you know? According to a research of the UK’s National Physical Laboratory Cape Town has got the fifth best blue sky in the world! The temperatures are usually mild all year round and the mild climate invites to a great outdoorsy lifestyle. 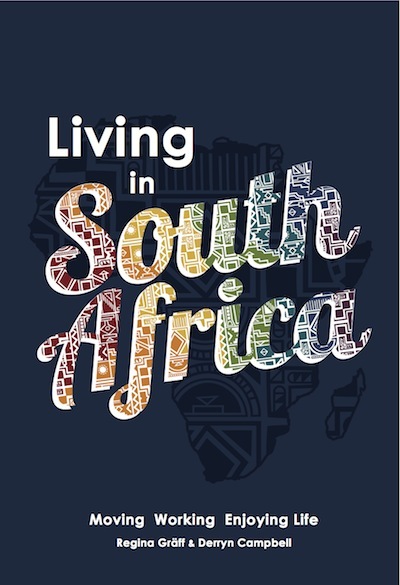 This is what will make your stay and expatriate life in South Africa even more attractive. The Cape Town weather in the summer month, usually from mid of November until mid of April, is predominantly warm to hot, but hardly ever the temperatures get too high, as the Mother City's location close to the two oceans is warranting some wind most of the times. As the dress code in Cape Town is quite casual, you only need to bring a light sweater for the colder evenings or if there is sea fog. Rain is rare during summer, as Cape Town, contrary to most South African region, is in the winter rainfall zone. This said, the wetter winter months are usually from June to September when most of the annual rainfall occurs. June is on the record for the wettest month and July is usually the coolest month of the year. However, as many will agree, these months are never really cold compared to winter months in many other popular tourist and expat destinations around the globe. If you are looking for charts with the Cape Town weather maximum and minimum temperatures and figures regarding the annual rainfall then please go on the official Cape Town weather charts of the SA Weather Bureau. Is the weather sunny and warm with little wind? Perfect, lots of activities are possible. Then go hiking, cycling or exploring the countryside. This is definitely the right time to go to Table Mountain or Cape Point. Cape Point is the windiest place in the country and only around 10 days of the year, the conditions can be described as calm, so this is the place to visit now. You will not only enjoy splendid views from both of these popular Cape Town sights, but also enjoy it when the wind is not blowing too much and you can walk around these beautiful places and taking in all the beautiful views. And certainly this is a great time to go to Boulders and swim with the cute little African penguins or enjoy beach life at the beach, like here in Blouberg. Is it hot but windy? 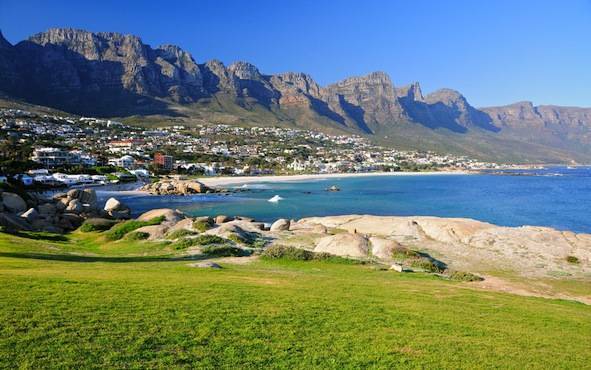 Enjoy the calmer Atlantic beaches sheltered by the Twelve Apostles, such as Camps Bay and Llandudno. Hey, that is the great Cape Town summer weather; the Cape Doctor (a south-eastern wind) blows the clouds away and leaves most of the city hot with abundant sunshine. Enjoy the breeze, as then the days are not too hot! Take a hat and sunscreen and head to one of the stunning beaches. Read which beaches in Cape Town are the best and almost wind-free for windy conditions in my beach guide here. Is it cloudy or rain is forecast? A multitude of great attractions are open all year-round. Christmas Day is the only more quiet day here! There are great attractions for rainy days in Cape Town too. While you surely will try to make maximum use of the great outdoors activities on warm and sunny days, you might even enjoy the occasional rainy day in winter, when you will have a really good time indoors at the numerous excellent museums in Cape Town, like the South African museum or the District Six Museum no visitor to Cape Town should miss. Read more about the best free activities here. Is there sea fog along the West Coast? Leave the coast behind and spend a day inland or explore the beautiful winelands. Even in summer, some days along the West Coast, especially from Milnerton to Melkbosstrand, there are frequent sea fog patches, mainly in the morning. If the fog comes in from the Atlantic and brings cold air, then move inland. Remember the fog is only there, because the South-easterly winds do not blow, so it can be really hot where the sky is clear. Already in Durbanville temperatures can be very hot, when along the coast the temperatures are up to 15 degrees colder. Find out more about the Cape Winelands here. Do you want to know more about the seasons in Cape Town and which clothes to bring to wear for which Cape Town weather then please go to my special page about the Cape Town seasons.